We are thrilled to welcome Jennifer Gans Blankfein, our Bedside Reading® Reviewer. Jennifer reads about 75 books every year. She is the one to go to when you want to read something fabulous, a page turner, something thoughtful or just a fun beach read. 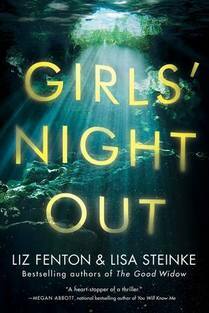 ​Jennifer will be contributing reviews of current books you must read. About: Jennifer Gans Blankfein is a freelance marketing consultant and book reviewer. She graduated from Lehigh University with a Psychology degree and has a background in advertising. Her experience includes event coordination and fundraising along with editing a weekly, local, small business newsletter. Jennifer loves to talk about books, is an avid reader, and currently writes a book blog, She lives in Connecticut with her husband, two sons and black lab. Book Nation by Jen https://booknationbyjen.wordpress.com. The Sun Does Shine is a powerful and important memoir, showing a discouraging side of our legal system and an incredible testament of stamina and hope. In 1985, Anthony Ray Hinton was convicted of murder in Alabama and sentenced to the electric chair. He was a 29 year old, poor, black man who had a job, a happy disposition and was a devoted son to his loving mother. The judicial system did not protect Hinton as it should have and he chose not speak for the first 3 years of his incarceration. Rebelling in silence as he wavered between anger and despair, he anticipated being put to death in the electric chair, knowing he was innocent but unable to prove it, despite every bit of evidence indicating the truth. As time went on, and the legal system repeatedly failed him, Hinton decided to speak up, fight for justice, and he found a way to survive death row…for almost 30 years. Visitation with his mother and best friend, Lester kept his spirits up. He learned to exercise his imagination and transport himself to different times and places. Finding comfort in this, he wanted to share the pleasure of escaping with his fellow inmates and he started a book club. He researched the law while spending his allotted “free” time in the prison library. He sought out an attorney who had his best interests in mind and the drive to prove innocence. He befriended the most unlikely alleged criminals and created a supportive and caring family for himself; sadly 54 of them were executed during his incarceration. With joy and appreciation for his relentless attorney, the unwavering love and friendship of him mother and Lester, and genuine forgiveness in his heart, Anthony Ray Hinton was released in his late 50s, in 2015. This memoir was upsetting and joyful at the same time. The judicial system, race relations, prison conditions, and the death penalty all need to be reviewed, discussed, examined and improved so innocent people are not sent to jail, and people in jail are treated humanely. We are not meant to live in a 5 x 7 cell for any amount of time and these conditions with little human contact can contribute to negativity, violence and hopelessness. Putting people to death is barbaric and a poor precedent for a government of a free country to support. Anthony Ray Hinton had incredible strength of character and faith to be able to re-enter life outside prison and find joy and purpose. I admire his immense fortitude and ability to forgive. I highly recommend this book. Check out Oprah’s interview with the author. Makkai has developed complete and complex characters that I feel like I know and truly care about. Her writing evokes overwhelming emotion and I love how the two time periods are weaved together through her compelling storytelling. 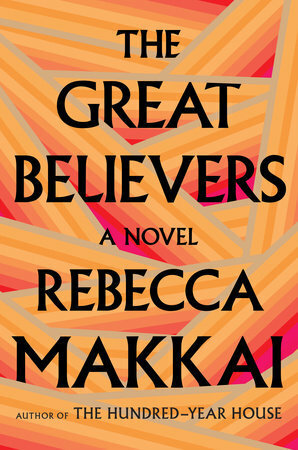 Some people compare this book to A Little Life, and yes, both are gut wrenching and sad, but in The Great Believers there is a well researched overview of Chicago history and AIDS in the 1980s, a window into the art world, terrorism in 2015 Paris, so much love, friendship and family…a much warmer novel that combines the burden of memories with hope and positivity. I highly recommend this book – great for book clubs! With history, science and creativity, talented author Esi Edugyan tells the story of an 11 year old slave, in Barbados and his adventurous escape to freedom. Washington Black, or Wash, brought up in the sugar cane fields, experienced more than his share of oppression, suffering and abuse. When the slave master’s brother, Titch, visits the plantation and asks for the boy to be loaned to him, an unusual friendship and reliance developed between the two. Growing up among brutal violence, Wash found Titch to be a father figure. Titch was an abolitionist at heart and although he was focused on his scientific discovery of a flying machine, he provided opportunity for Wash as he taught him to read and nurtured his artistic abilities. When Wash found himself in a dangerous situation, Titch abandoned his scientific experimentation to save him and they journeyed to the Arctic, where Wash gained his freedom, yet deep seeded scars of his past lingered, contributing to his ongoing struggle with truly feeling free. The two parted ways and Wash clumsily navigated his first feelings of love and independence while he continued his quest for connection, respect and feelings of belonging, safety and equality. Esu Edugyan’s characters are deep and well developed, and the story is heartbreaking, heartwarming, adventurous and rich with history. When we learn and think about slavery we remember and try to understand the brutality inflicted on human beings, and the horrific mindset slave owners embodied, but the author brings to light more than just the struggles, abuse and loss of dignity, loss of self respect and self worth and loss of life…she reminds us of the incredible talents, contributions and genius that were sacrificed by taking away the rights of so many. This is a story of a slave, his passage to freedom, his never ending search for identity, love, family and success. It is an incredible adventure from the islands to the Arctic and beyond. Can we overcome setbacks from our youth, or do we carry scars that impact our life forever? 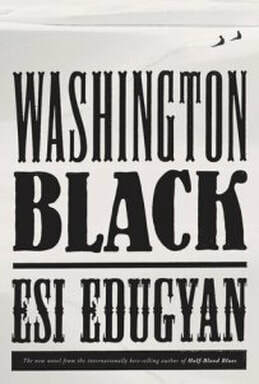 In Washington Black, Edugyan gives Wash physical scars from the past reminding us that we are made up of life experiences that cannot be erased, and who we are is developed from our life journey. Longlisted for the 2018 Man Booker Prize, for me this is a winner! 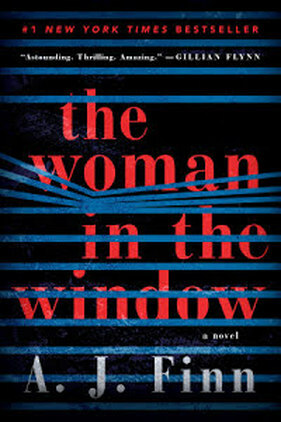 If you are looking for an addictive quick read with brief chapters, interesting characters and psychological suspense, The Woman In the Window is for you! Dr. Anna Fox is trapped in her home. Not literally…she is agoraphobic, presumably triggered by a tragic event. Her child psychologist medical practice has ended due to her being unable to leave her house, so she spends much of her time on the computer watching horror movies, consulting lonely people with problems in chat groups and playing chess. When she is not online she spies on her neighbors, peering through her camera lens and out the window. Throughout her waking hours Anna consumes wine like water and pops pills for her ailments. The story consists of Anna and her neighbors; amongst them are Ethan, a homeschooled teenage boy who seems lonely and depressed, Alistair, Ethan’s father who believes Anna is delusional, and Jane, Ethan’s mother who pays Anna a visit to play chess and drink wine. We meet, Anna’s support system; Dr. Fielding and physical therapist Nina, both who make house calls, and Anna’s ex-husband Ed and their young daughter Olivia. Anna also has an elusive, odd tenant, David, who lives in her basement. The story is told by Anna, and her suspicions about the neighbors grow when she hears screams and sees something devastating our her window, but when the authorities are called in, proof is unattainable and Anna’s fear to leave the safe haven of her home is only one of the setbacks. Her state of mind is questionable and nobody’s stories line up, but the truth lies amongst the chaos. Manipulation and illusions drive this twisted mystery and kept me second guessing right up until the end. Habitually early, I walked into the Fairfield Library book event and took a seat in the front row. I prefer to have an unobstructed view to the speaker and don’t feel shy about sitting alone in the center of the first row, but clearly, if others like to have an unobstructed view, their preference for being more obscure or part of a crowd, protected in a pack in the middle or back, surrounded by others and not so close, outweighs the desire to be directly in front. The author, Delia Owens was at the podium getting herself prepared for her book talk on Where the Crawdads Sing, her first fiction book, and she looked directly at me sitting alone and smiled. She came over to say hello, thanked me for attending and told me she knew me from Instagram. The room started to fill up and Delia sat down next to me in the front row and I had the wonderful opportunity to talk with her for a while before the program began. She told me she lived in Africa with her husband, now ex-husband for 23 years. They were married for over 40 and several years ago divorced. They still live together on the same property in Idaho but it is a huge piece of land so it is working out fine for now. We talked about the pressure her relationship endured in those years, being so secluded from other humans while they did research, and how the hopes of it repairing itself upon their return went unfulfilled. This one on one conversation along with Delia Owens’ public talk on Where the Crawdads Sing, her research on the social biology of animals, and her book’s main character Kya, who grew up on her own in the marsh in North Carolina got me thinking about seclusion, women, being alone and how everyone has different levels of enjoyment and tolerance when they are solo. According to Delia, just as in a troop of baboons, a herd of elephants, and a pride of lions, human females tend to travel in groups, play, eat and sleep together. There are many benefits of having alone time, but how much is too much? Isolation can change a person, and in Kya, a character based on many women the author knows, we can see how being alone can have major impact. But as Delia said, women are strong. We can do a lot more than we think we can and when put in the situation, we do it. She said she wrote Where the Crawdads Sing in two parts, PART 1 is The Marsh – a beautiful place of light and sparkling water. Part 2 is The Swamp – a dark place. Like Kya, her character in the book, sometimes in our lives we go to The Swamp, but we always strive for the Marsh. Delia Owens is an inspiring speaker, well prepared as one would expect a researcher would be. She did say, standing up in front of a room full of women caused her to experience the same feelings she has when being rushed by lions in Africa – a sign to me that she does not crave crowds and probably feels most peaceful alone and riding horses. She did mention her house is many miles from civilization and she goes to town one a week to see people when she is at home in Idaho. It was incredible to meet her in person and observe how her life experiences influenced her and how so much of that is evident in her writing. 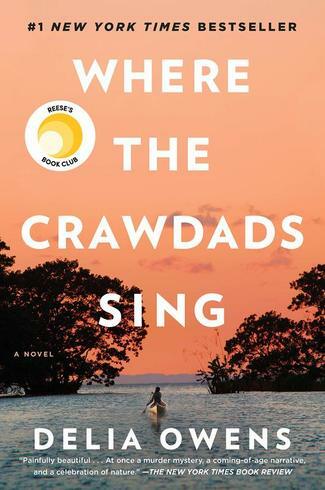 Where the Crawdads Sing was chosen for Reese Witherspoon’s Hello Sunshine Book Club and I agree with Reese when she says she didn’t want the book to end! 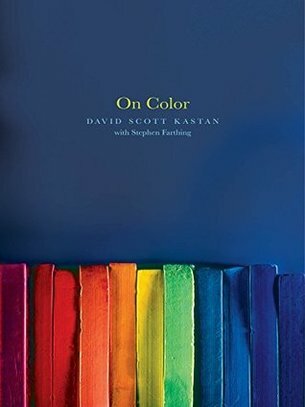 David Scott Kastan, a George M. Bodman Professor of English at Yale University and Stephen Farthing, an artist and elected member of the Royal Academy of Arts in London and Emeritus Fellow of St. Edmund Hall, the University of Oxford have collaborated on this beautiful, and educational book about the history of color and how it plays out in the world through art, politics, perceptions and more. ​On Color encourages us to think about what we see, what each color symbolizes and how it makes us feel. According to the authors, scientists believe there are more than 17 million different colors. Red is known to be the color of roses, yet is the rose red or does it just appear to be red? In trying to understand what each individual actually sees, Kastan discusses how length, an objective property, is something that can be proven and verified by measurement, while color is perceived and can only be classified as an aspect… a vague property. Did you know there was no Orange before oranges came to Europe? Van Gogh celebrated the depth of the color in his Basket With Six Oranges, while other artists utilized Orange differently. How did Yellow become associated with asians and what does color have to do with racial identity? Green may be a political color in Ireland but in the United States it has become the color of our environmental movement, and ecological concerns. About 20% of people choose Green as their favorite color (I am one of those people). On Color is part of the Bedside Reading program and will be complimentary for guests at the Conrad Hotel in NY later this year. If you are looking for a book to bring to the beach this weekend, here it is! 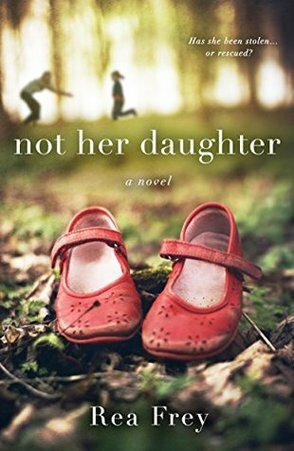 Not Her Daughter is a gripping page turner that had me completely swept up in the drama and questioning what is morally right. Sarah, a successful business woman becomes upset when she observes a mother mistreating her young daughter, Emma, in an airport. Weeks later, by chance, Sarah observes the same girl while at school and feels overwhelming compassion and the urge to save her. She secretly follows her home to check on her wellbeing and after witnessing the mother engaging in more abusive behavior, Sarah decides to act. Amy, an unfit mother knows she has a beautiful grey eyed, brown haired daughter but is not able to manage her work, her baby son and her useless husband along with this button pushing, irritating daughter of hers. She cannot control her inner anger and is constantly lashing out at her bothersome child. And then Emma is gone. Is Amy worried and upset…or relieved? An illegal kidnapping, or a rescuing in the best interest of the child – that is up to you, as Sarah and Emma, the unlikely duo hit the road together. Being on the run with the now missing five year old girl is not an easy task and Sarah does her best to keep her friends, family and coworkers oblivious. Then she runs into her ex boyfriend and her secret is in jeopardy. Can she escape judgement along with the authorities? Does Emma’s family even want her back? This quick read is perfect for an escape from reality…don’t nitpick the practicality of the story and just enjoy the ride! ​I understand you’re busy. For transparency’s sake, I wanted to let you know this is a job at the White House, and you’d be traveling with the President on his domestic and international trips. Let me know if this changes things. 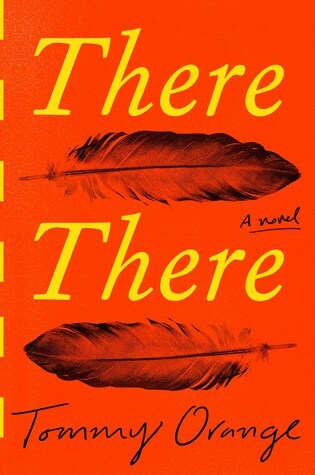 So much sorrow as the characters in There There seek connection and struggle with identity…an honest and important debut. If you are in need of a blood chilling thriller to make your heart pound, Baby Teeth is for you! Author Zoje Stage mastered dark and suspenseful when she created seven-year-old Hanna, the only child of Suzette and Alex. Suzette had a difficult childhood, poor mothering and a continual battle with Crones Disease, and when she meets Alex in a professional environment, he saved her from loneliness and despair by respecting her design work and falling in love. Alex, an architect, is a cheery Swedish man who desperately loves his wife, Suzette, and showers his very bright but mute daughter Hanna with love and attention. Both parents want to be the best they can be; they spend lots of time with Hanna, they have patience for their daughter, but she doesn’t speak a word and seems to only love her Daddy. After being kicked out of several preschools for bad behavior that Alex cannot recognize or accept, Suzette is homeschooling her daughter but seeing red flags in her behavior towards her. She witnesses outrageous outbursts but due to her lack of confidence in her parenting and wife skills, she keeps some of what she experiences with her daughter to herself so as not to upset her disbelieving husband. Hanna has an alter ego that seems to want to kill Mommy so she can have Daddy all to herself and she is working on a plan. When mother and daughter are alone she terrorizes and scares her but when Daddy gets home she is her cuddly sweet self. Life becomes dangerous for Suzette when warnings escalate from Hanna’s artwork that depicts a dead Mommy to Hanna speaking obscene and threatening messages to her mother when nobody else is around to sophisticated scheming that leads to illness and physical violence! Suzette and Alex’s parenting skills are in question along with safety in their home when they finally reach out for help and share what is going on with outsiders as the danger and threats escalate…but will it be too late? This is a creepy story…but good creepy! If you want to feel positive about your own family, OR you don’t want to have children, this book will support you in a big way! 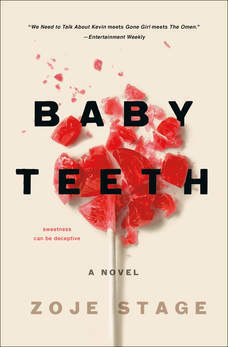 Baby Teeth is a quick summer read that will keep you engaged and freaked out. Get ready to read this one, sure to be all over social media this fall! 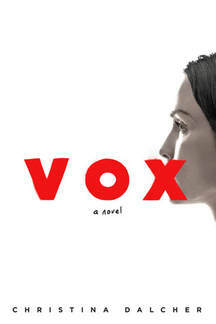 As we can imagine, contention in government could lead to citizens’ rights being taken away, and in Vox, author Christina Dalcher goes to the extreme with this concept and shows us how easy it is to change people’s mindset in a short time. In this made up Handmaid’s Tale – like world, women are only allowed to speak 100 words per day. Their words are counted by a bracelet each one wears, and when they go over the limit, they receive an electric shock. All women have been removed from the workforce and are only allowed to take care of the home and family. Could something like this ever happen? I found there to be some vague parallels to real life, was captivated by the storyline, and even though the ending was a little far fetched and dramatic for me, I thoroughly enjoyed it. Maddening, frightening and exhilarating, this could be a fantastic movie! Seventy years later, successful ad executive Olivia has to come up with an advertising idea for the MTA. She has a complicated relationship with her boss, who has power over her financially and emotionally. Her male coworker is not a fan of women and has no problem stealing her ideas and presenting them as his own. Feeling despair, alone and her job on the line, Olivia has to make some decisions. Her strength and perseverance, despite the odds being against her, lead her to research the old Miss Subways campaign. Through heartbreak, a new love and a surprising connection right next door, Olivia’s future begins to look bright. Striking a balance for women is often challenging; a constant juggling between works and family….wanting it all. Happiness is fluid and different things may be more important at different times. 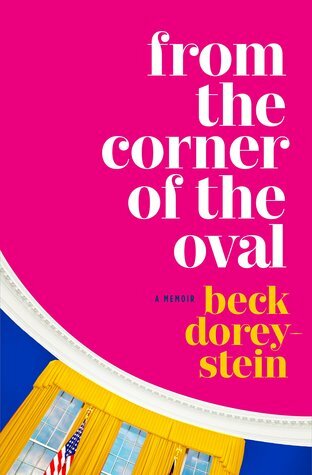 I found myself rooting for both Charlotte and Olivia, a champion for the women, no matter what they wanted in order to be happy – the job, the beauty contest, the attention from the guy, the winning campaign…I thoroughly enjoyed this book!